oost your home's curb appeal like an expert with galvanized window boxes by our company . 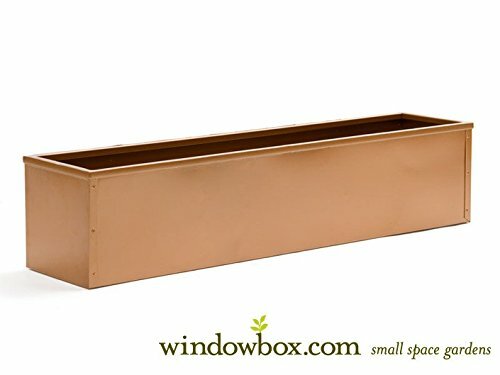 The sleek galvanized window box, one of our best sellers, is available in many finishes. These rich finishes are on trend and perfect for fall and all year round. Textured bronze adds a unique feel to your window box and pairs well with bright flowers and earth tones. You can also plant lighter flowers for a beautiful contrasting look. The oil-rubbed bronze finish adds dimension and visual interest to your planters while mixing old-world charm with modern sophistication. Drop these window box liners into any of our rectangular window box cages or simply use as standalone planters. Wall brackets are also available for purchase online for a cost efficient, minimalist look.